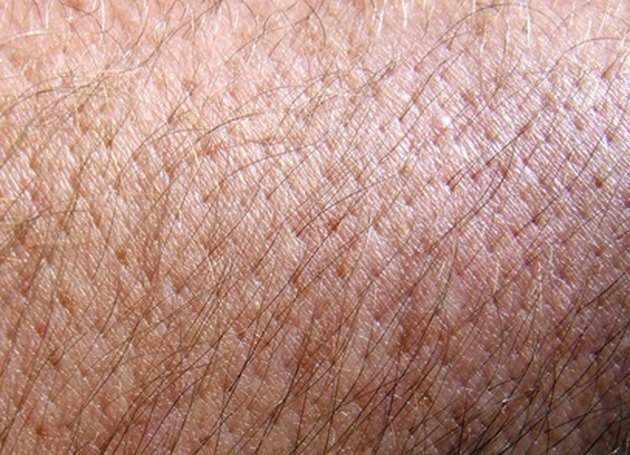 Dry and itchy skin may be the result of a skin disorder, or may occur due to improper care of the skin. To help combat dry and itchy skin, consider supplementing your diet with a variety of foods that are rich in vitamin C. This nutrient is efficient in helping to treat and prevent dry and itchy skin. Vitamin C is among the group of antioxidant vitamins, along with vitamin E and beta-carotene. The University of Maryland Medical Center notes that antioxidants are responsible for preventing damage that free radicals may cause. These harmful compounds are the result of your body turning foods you consume into energy. A build-up of free radicals over time can be dangerous, as they are believed to play a role in contributing to the aging process, conditions that may involve dry, itchy or possibly even wrinkly skin. Antioxidants like vitamin C help to locate and destroy free radicals. Vitamin C is necessary for the regular manufacture and repair of all the tissues in your body, including the skin and is important for aiding in the production of a protein called collagen, which is used to produce skin, according to the University of Maryland Medical Center. Vitamin C is also essential in the healing of wounds. Vitamin C is an essential nutrient to have in your diet, and its important to ensure that you're consuming enough vitamin C on a daily basis, as it can have negative consequences on your skin. The University of Maryland Medical Center states that low intake of vitamin C in your diet can possibly cause your skin to become dry, scaly or rough. Vitamin C can be found in many foods such as cauliflower, tomatoes, cranberries, oranges, grapefruit, cooked leafy greens, red peppers, raspberries, mango, potatoes, blueberries, watermelon, cabbage, winter squash, strawberries, papaya and cantaloupe. Are There Foods That Relieve Itching? What Vitamin Is Good for Making Healthy Gums?